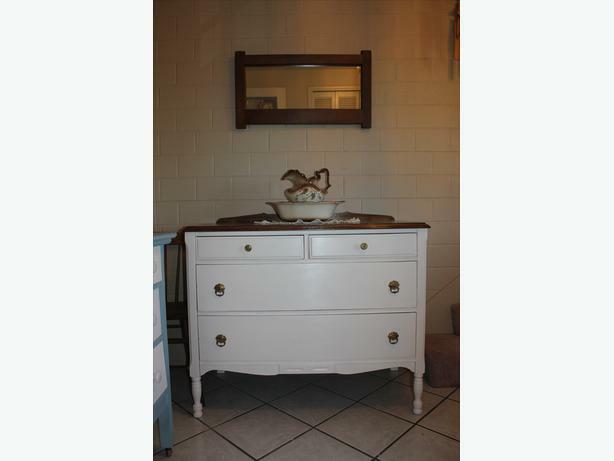 This beautiful solid vintage piece has been recently refinished. The top has beautiful wood grain and is varnished for protection. The body is painted using chalk paint and is waxed for protection. The large drawers have original hardware, dovetail work, are clean and slide well.